It's the weekend! Yay, the time when I get to catch up on all my favourite blogs and also get some blogging done myself! So if you're after some good blogs to read then make yourself a cuppa and get clicking on these links! MAKE UP FOR EVER recently launched the Rouge Artist Natural Lipsticks. Treat yourself to a review of three of those at Adorable On Your Vanity! 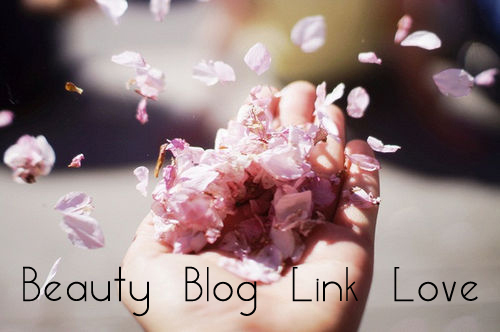 Phyrra brings you Great Tips for Beauty Bloggers. Check out The Beauty Spot in a Lord of the Rings Inspired Look. This May, Rae’s been enchanted by a gorgeously packaged pink lipstick. Read all about Pivoine Délicate, the unexpected Spring hit from L’Occitane, at theNotice. Gouldylox Reviews found a really pretty lip gloss that is actually made of evil at Sephora. Beauty’s Bad Habit Blog joins the dark side with Sleek’s ‘Ultra Matte V2 – Darks’ palette review and swatches. If Lisamarie from Beauty Crazed was as bright as her Essie Poppy-Razzi nails, the world would be a smarter place – well at least we still have her nails so come check them out! The Pink Sith thinks that Birchbox might have confused this month’s Gossip Girl themed box with The Golden Girls, judging from the geriatric theme of the products she received. Christina the Glitterholic checks out the new collection by M.A.C, Hey, Sailor! Check out her photos from the event and enter her giveaway to win a M.A.C lipstick from the new collection. At Eyelining Obsessions things get a little philosophical as Claire contemplates what value for money really means. At Lipstick Musings, Shannon’s fallen hard for the new YSL Rouge Pur Couture Vernìs À Levrès Glossy Stain in Fuchsia Dore . Come see what all the fuss is about! See why the Smashbox Shades Of Fame Palette has Beauty Reflections dreaming of Margaritaville! —Are you a beauty sample junkie? Enter to win a Total Beauty Collection beauty sample box at Pammy Blogs Beauty!